Marshall E-Learning is a full-service e-learning training consultancy, offering e-learning development with sector specialism in Equality and Diversity, Unconscious Bias, Safeguarding, and Health and Wellbeing. 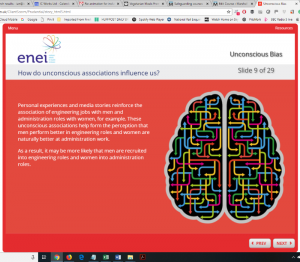 Since 2002, Marshall E-Learning has provided CPD-certified training to clients such as the NHS, Higher Education establishments, local councils and the legal and financial sectors – and work with ENEI on our Diversity and Unconscious Bias courses. This specialist sector knowledge means that your staff will benefit from the most up-to-date and relevant content. Regardless of whether you are looking for a fully bespoke solution or a customisation of an existing course template, Marshall E-Learning will be on hand with a dedicated project manager and an Instructional Designer to assist with you for the whole project life-cycle. Here at Marshall E-Learning, we offer a flexible approach to your e-learning development, with packages to suit every organisation’s unique requirements and budgets. Our approach to e-learning is to focus on innovative, engaging and most importantly, socially responsible behaviour-changing training that offers you a measurable return on investment. We offer a range of accredited courses in partnership with specialist organisations such as Barnardo’s, Mind, ENEI, and CPD, so you know your course content will always be accurate and up-to-date. For busy HR departments that need an accurate and accredited course immediately, our range of customisable courses offers a large selection of reliable and carefully researched content. When we customise any course, our approach is guided by 5 key principles. Organisational need: Why do you need e-learning? To comply with the law or procedures? To increase performance? 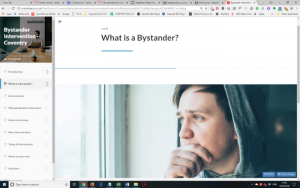 Positive outcomes for external stakeholders? We apply this principle at the start of every project. Learner-centric: Who are your learners? Do they have preferred learning styles? What do they already know? Are they comfortable using technology? Learning outcomes inform the content on every screen of every course. What do your learners need to explain, describe, recognise or list? Defining these outcomes up-front keeps every project on track from the initial proposal to storyboarding and onto development. Engagement: All our courses are interactive, incorporating rich media such as animation, video, audio-visual scenarios and bespoke graphics. Respect for learners: Learners respond to conversational content that does not patronise and prefer to manage their learning experience. 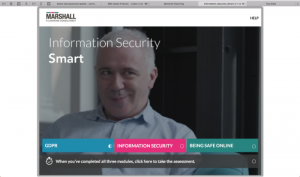 Marshall E-Learning courses contain an honest, direct voice and include the option of additional learning resources and open navigation. ‘What’s in it for me?’ is a question that all learners should be able to answer positively. Alternatively, those requiring a bespoke solution will benefit from a dedicated Instructional Designer to produce a tailored, creative training solution for maximum return on investment. Marshall E-learning’s bespoke work requires the greatest investment which is time but ultimately clients get outstanding rewards. Custom-made online orientations or inductions are the main offering from our bespoke division. Developing a smartphone compatible online induction for Formica Group. 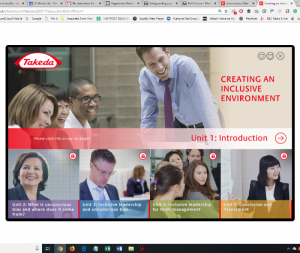 Other bespoke work can range from product simulation training such as the work we did for Swedish Company Trade Extensions to Unconscious Bias for Students developed with the University of Edinburgh. Any topic can be turned into engaging e-learning using our hard-working team of instructional designers, researchers and developers. Marshall E-Learning’s production methodology means we can develop courses for clients that we have never met. So wherever the client is based we can deliver our superlative service. International clients do not pay any kind of premium and we encourage contacts from international organisations. 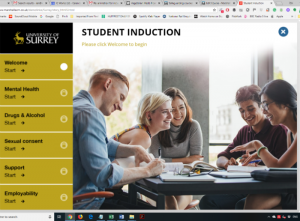 Developing an online induction for La Trobe University in Melbourne. Working with Kimberley Training Institute on a health and safety e-learning course in Western Australia. Developing a Psychological Health and Safety Course to comply with Ontario law in Canada. In this video, our CEO David Marshall and Instructional Designer and Marketing Lead Tamar Elderton-Welch discuss the diversity training courses we’ve created. Find out why the likes of the NHS, Hitachi, Volkswagen and the Bank of England have commissioned us for their online training requirements for many years. If you would like to find out how our approach to developing e-learning could support your organisation please get in touch.